Your squire slips the Black Hourglass Gauntlets over your hands, adjusting them to be comfortable and snug. Their effective and striking design allows them to withstand and deflect attacks that make it beyond your swords crossguard. These gauntlets are a set of mild steel gloves designed to protect the wrist, back of the hand and knuckles in combat without compromising maneuverability. 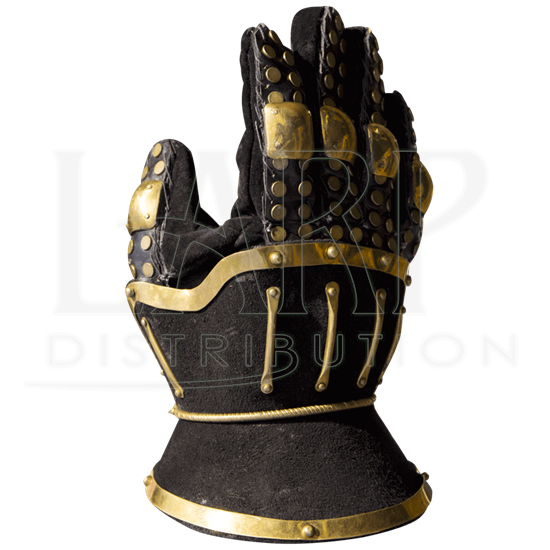 Each gauntlet protects the fingers, covering them with thick leather, knuckle plates, and shiny brass rivets. The back of the hand is protected by a rigid, sculpted plate. A short vambrace protects the wrist. The steel is decorated with black colored split-leather and the gauntlet is worn via a leather glove underneath. 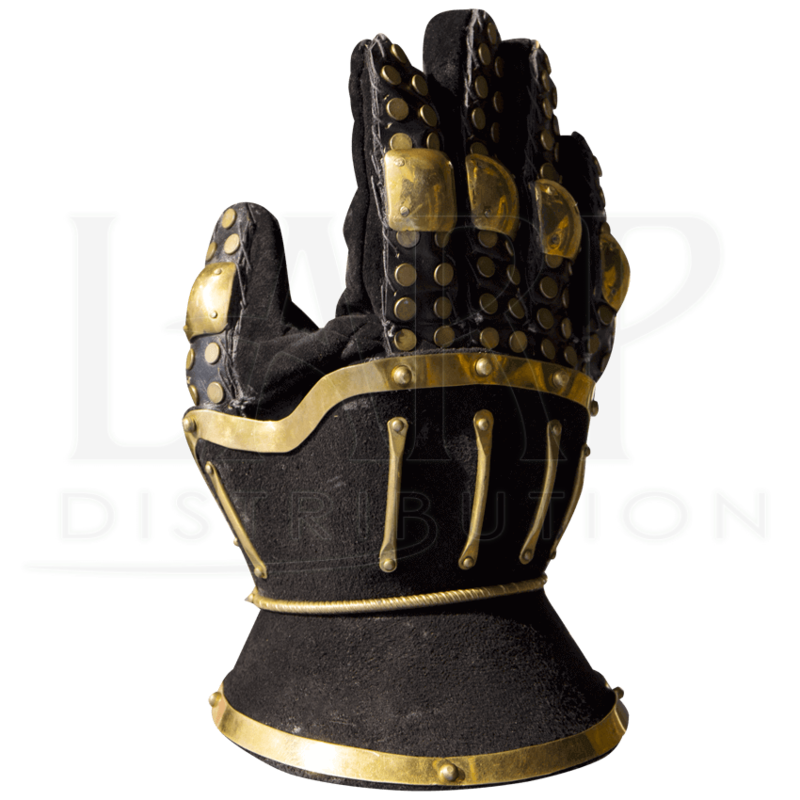 The finger protection of the glove is sewn onto the leather glove, with a leather strap around the palm to secure the gauntlet onto the hand. Made from mild steel with rolled edges, these Black Hourglass Gauntlets are impressive in appearance and easily paired with other Epic Armoury pieces.